Pastlife Readings. Past Life Readings with Crystal. Recent feedback. "The way that you do readings is awesome, it's the best and smartest way to do it in my opinion. The outcome, the quality of your work is outstanding. It's not just the reading, it's your methodology that impresses me. I've never heard of anyone else who did it the way you do, and the way you do it makes so much more sense. I'm honoured to have had my reading done by you, thank you, for it is the first truly helpful past life reading I've had. You take it beyond being merely interesting and I respect that. Keep doing what your doing. You offer a great service for individuals who want the real deal". Name withheld. "Thank you so much for my reading Crystal. I was very enlightened by what you told me. I am amazed by the past lives that I have had, it is unimaginable but a lot of what you said, comes through in this life. Interesting about the African reading - I am also South African! and yes although I am not a great love of water - I do find that I am overcome with a need to drink water and lots of it. I am a hopeless runner now as I have bad knees, but when I was a child I enjoyed running at sports day - was not the best but tried my best. Thank you once again for a very accurate reading". Name withheld. Some of us can trace our spiritual life back to the dawn of mankind, and have had regular incarnations ever since that time. Although some seem to have only a few incarnations, spread out through many generations, and it has been suggested by ‘those in the know’, that perhaps this is not the only planet that we inhabit as spirits, but that whilst we're on this planet our planet Earth, we can only recall incarnations that were here. 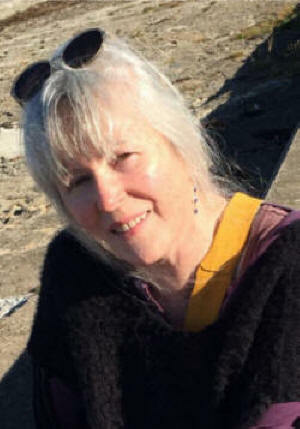 Crystal, our top Past Life Visionary , is able through trance to connect to many of our past-lives and relate them to us, and she will often locate and connect to more than one of our past-lives. Most of us have now come to believe that we have lived before, and often many, many times, the body of evidence for this is now so great, from past life and regression therapists, that it would be foolish to ignore that it is at the least possible. and at the most probable that we return time and time again to learn the lessons that we need to ascend in Spirit word. Book a Past-Life Reading with Crystal Below! Past-life Email Reading from Crystal. £35.00 (approx 1,500 words). Click on button to buy this! All psychic, clairvoyant, & medium readings & spellwork are deemed as for 'entertainment purposes only'. Please note the following: For reasons of legality, all psychic, clairvoyant, & medium readings & spell work are deemed as for 'entertainment purposes only'. All of our many readings are aimed at being helpful to our clients. Please treat them as such. How you act upon the advice given is entirely your decision. You need to be over 18 to use this service. We do not and never have passed on information about our clients to any third party!